Dallas City of Learning is a citywide initiative dedicated to ensuring that all students have access to high-quality summer learning programs. 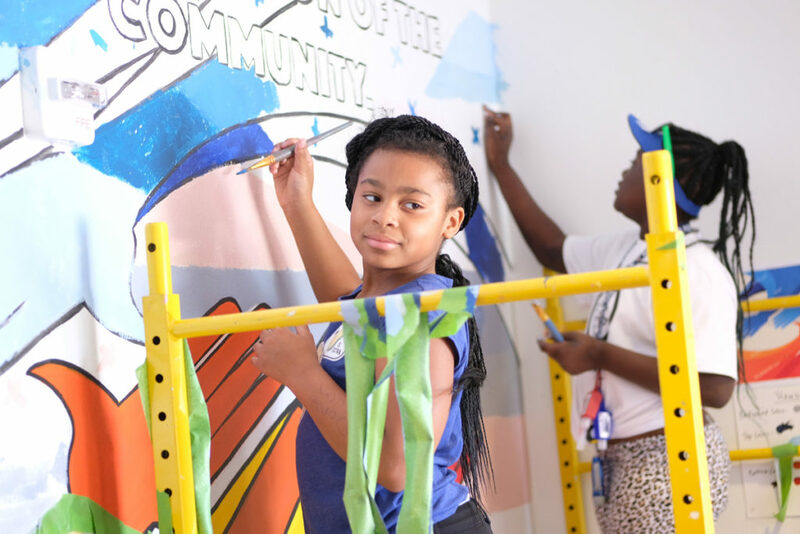 In addition to providing fun learning opportunities, DCOL commits to connect students to their community in deep and engaging ways. 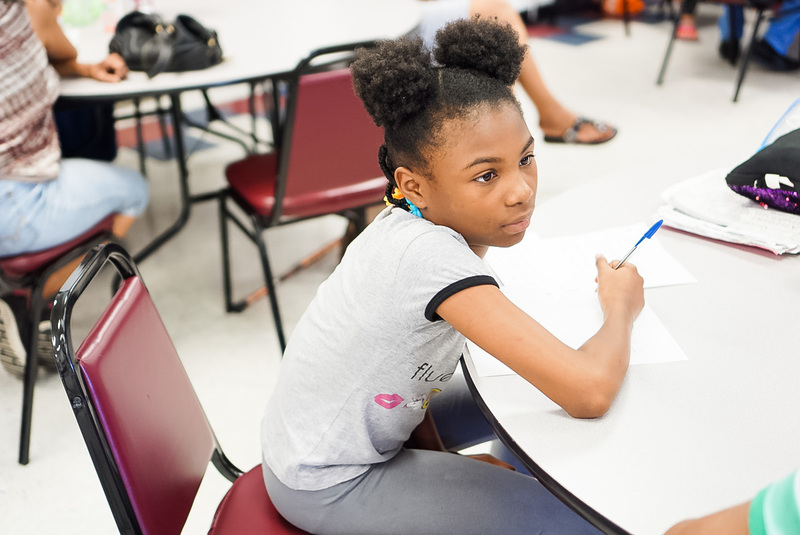 Throughout the SOARS summer learning camp, students learned about writing styles and how to develop their own voice. From poetry to short stories, learners express their creativity everyday through storytelling. 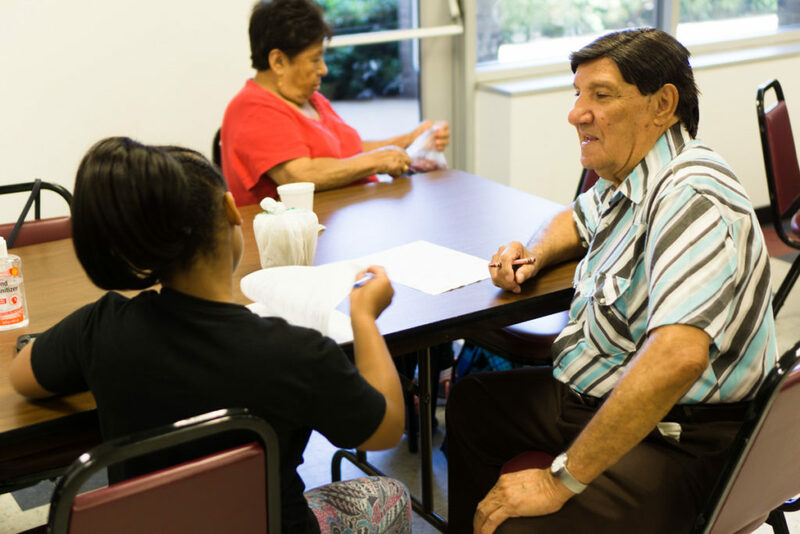 West Dallas SOARS is housed at the West Dallas Community Center which provides daily programs to seniors and is the perfect place for budding authors to interview individuals from around their neighborhood. The Writer’s Garret challenged their young writers to interview a senior citizen about their life and ask for advice for someone their age. 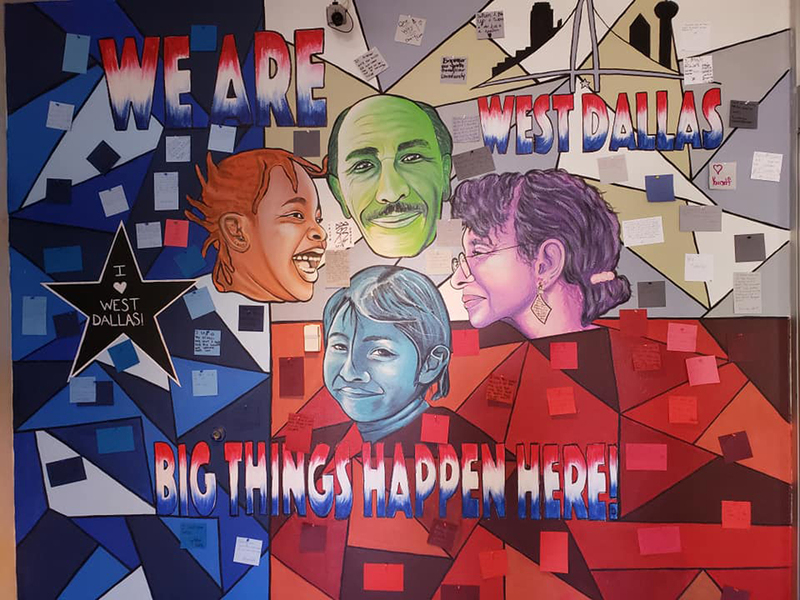 Experiential learning is a core part of Dallas City of Learning’s curriculum. At West Dallas SOARS students have endless opportunities to grow. 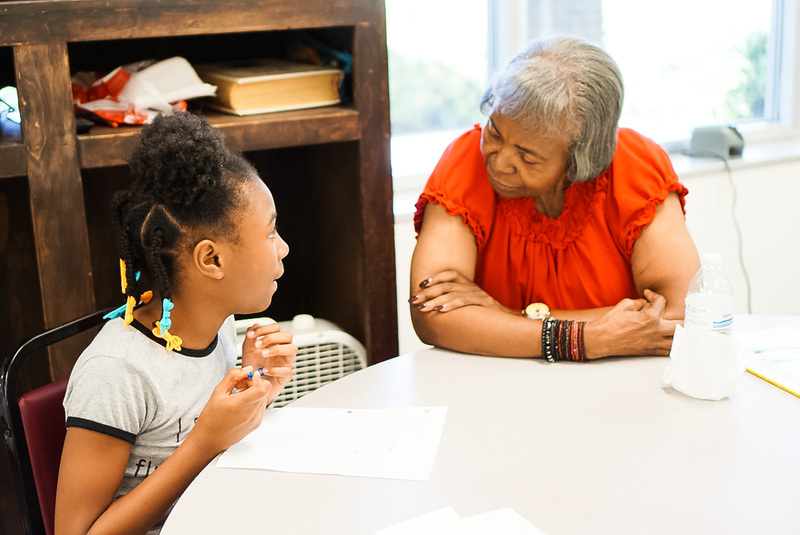 While working with senior citizens to showcase their life stories students were able to bloom as writers while learning about their own community in a special and memorable way. Some days it really kicks-in how privileged we are to be serving on the MXP. 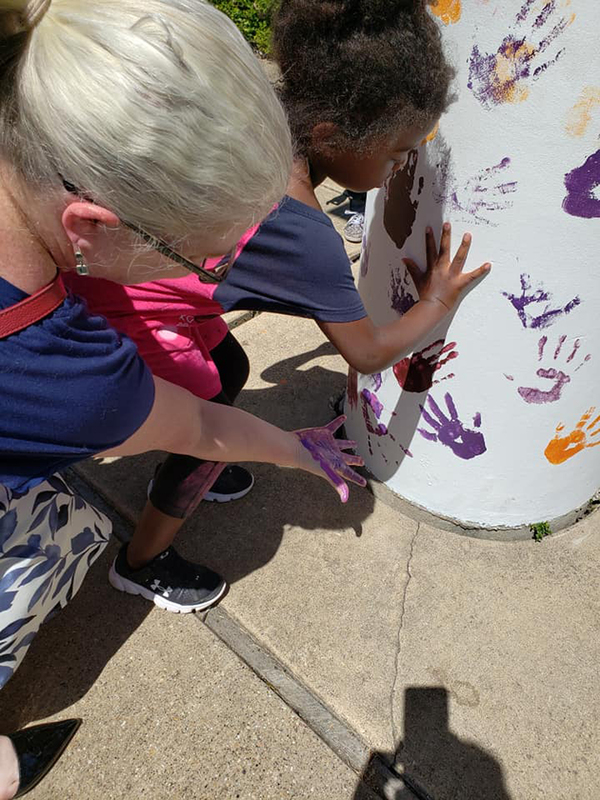 Yesterday we returned to the Genesis Women’s Shelter in Dallas where we got to meet and work with eleven amazing children. 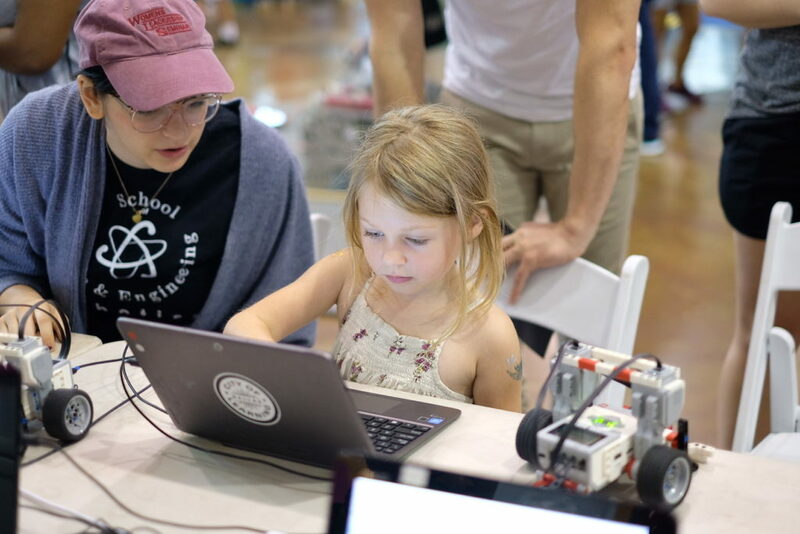 My brother, Tycho, was teaching them how to program LEGO robots to compete in sumo matches. We have to be very careful with this activity. Because this is a pushing match between robots, we want to make sure it doesn’t trigger aggressive behavior in the kids. Before going there, we talked with our lead instructor about what to be mindful of. We had to recognize that most of these precious children have witnessed and directly experienced family trauma of a sort beyond what we can even imagine. On top of that, we happened to be an all-male teaching team yesterday. We know that their trauma was likely inflicted by men, so it becomes that much more important to show them that men can be gentle and kind. Our few hours with them can’t heal their hurt. That’s the long hard undertaking of their mothers and the staff and volunteers at Genesis. But we can at least help inch their efforts along as we try to show these kids that they can also learn to be creative with technology. It turned out to be a wonderful visit. On this day the kids were beautifully bright and engaged. We have to preserve their anonymity, so I’ll make up some names and substitute photos. In the younger group, Michael and May were a dynamic duo. They were so impressed with the vehicle, they thought it must be worth a million dollars! Then they decided they wanted to own it. May asked, “What’ll it take to put it in our hands?” Natural wheelers and dealers. May must have been about 9 years old, but she grasped the programming activity like a natural. She taught her companions how the ultrasonic sensors work in the same way that bats echo-locate. I was teaching digital modelling and 3D printing to Nadia and Maya who, though not related, were bonded like sisters. They bounced back and forth between their laptops, helping each other out at every step in the process. They decided to engrave their names with “BFFL” on the keychain medallions they created. When they exchanged their medallions, I believed they would remain best friends for life. Derek was a bit younger and he’d used a 3D printer once before. But now that he got to got to work on his own design, he tore into the lesson with unbridled energy. After he completed his medallion, he moved on to designing a house. I wouldn’t be surprised to see him become an architect one day. The resilience and delight we saw in these children was amazing. Our thanks go out to the families and staff at Genesis for allowing us to join them for one promising day in their journeys forward. We look forward to seeing them again. 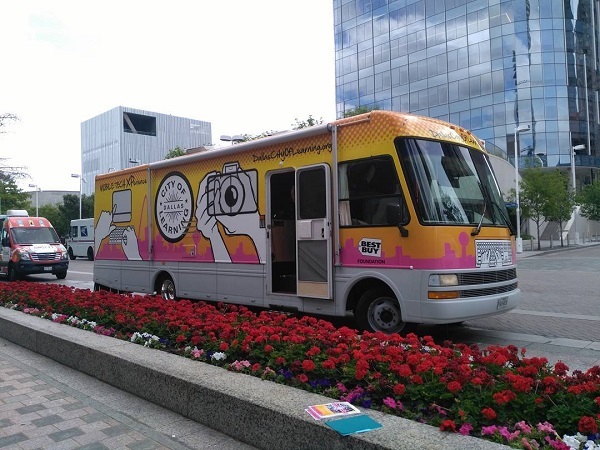 The MXP is Dallas City of Learning‘s Mobile Tech XPerience. This rolling STEM classroom allows us to take the highest quality STEM experiences directly into under-served neighborhoods. 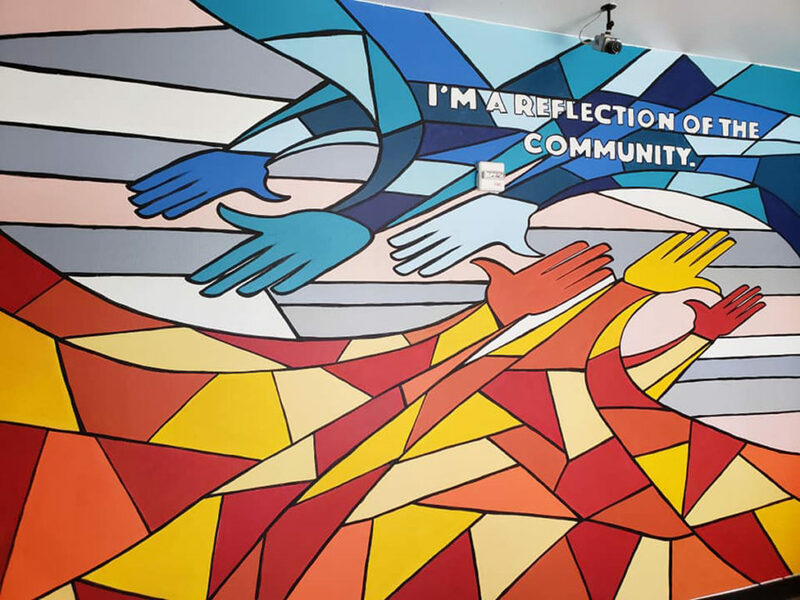 It’s one small part of DCOL’s mission to address the opportunity gap faced by thousands of disadvantaged families. Summer Learning Tips from KERA Learn! 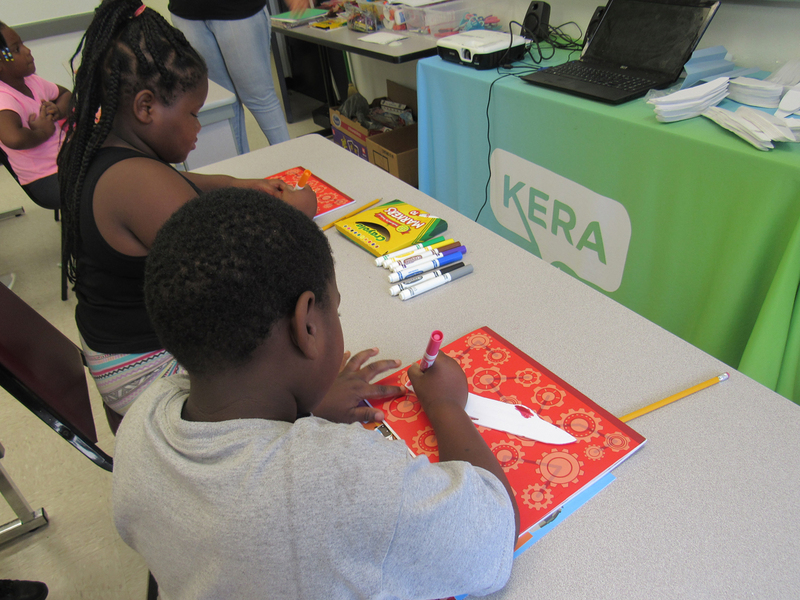 Dallas City of Learning has partnered with KERA Learn! to show students that summer learning can be fun and full of adventure. 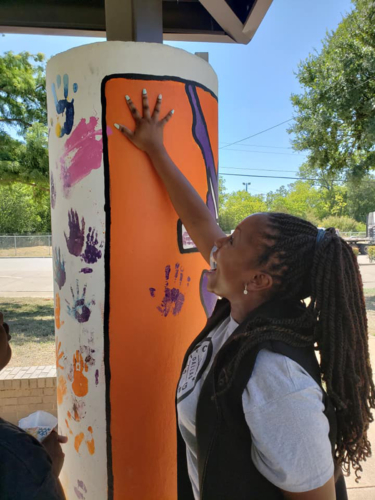 We sat down with Denita Malvern, KERA’s community engagement manager, to get to know more about her work, summer programming at DCOL, and tips for parents on how they can prevent summer learning loss at home. What is your goal for students throughout your programming? 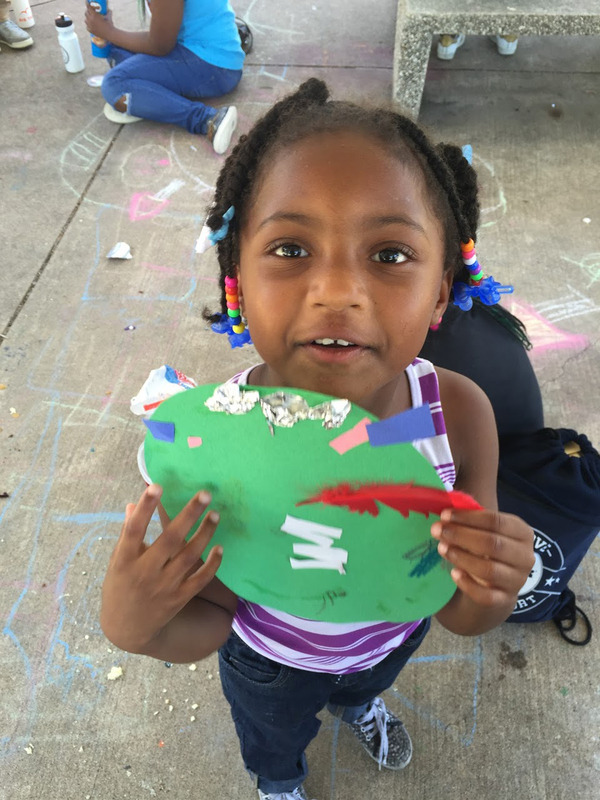 Our goal is to prevent summer learning loss through interactive summer programming across DFW. 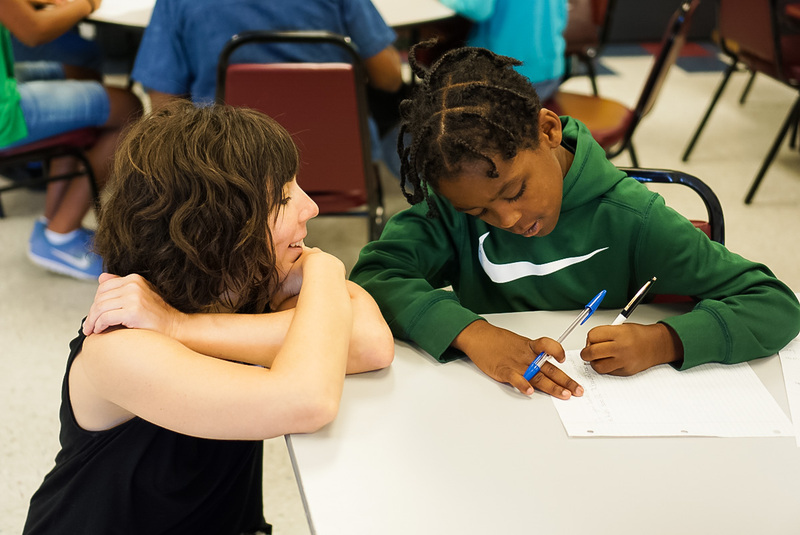 What is your favorite part of working with students at summer learning programs? Just watching them learn and seeing the a-ha moments that they have while learning new things. I also love showing them that learning is fun. To see the smiles and sense of wonder while they are learning is amazing. What do you hope kids learn? We hope to show them that learning can be fun and engaging. 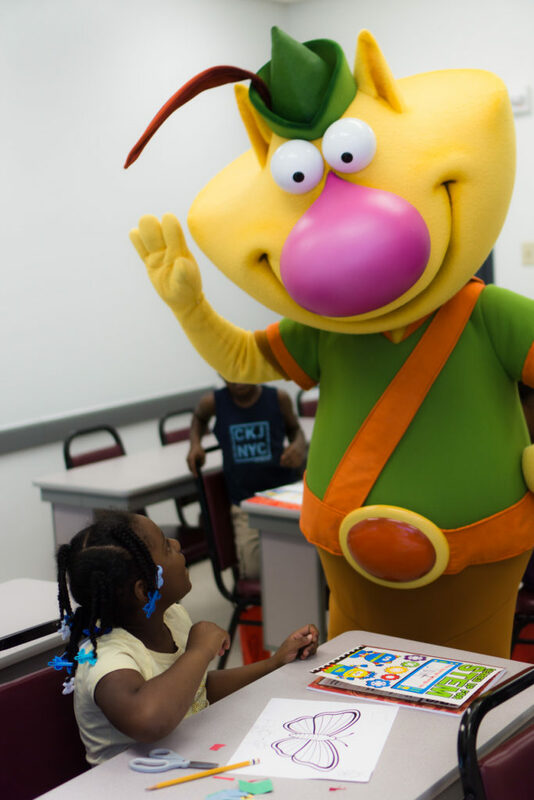 Also, to connect them to PBS broadcasting as well as give them an introduction to STEM. This shows them what kind of careers are available to them and explore careers through summer learning. Parent’s should remember that they are their child’s first teacher. Whether it be while cooking and measuring out ingredients or counting tiles while in the bathtub, make everyday an opportunity for learning. There is no user guide to parenting and most parents think that they might not be qualified to educate their kids. But don’t forget that you know your child better than anyone else so you how they learn best! 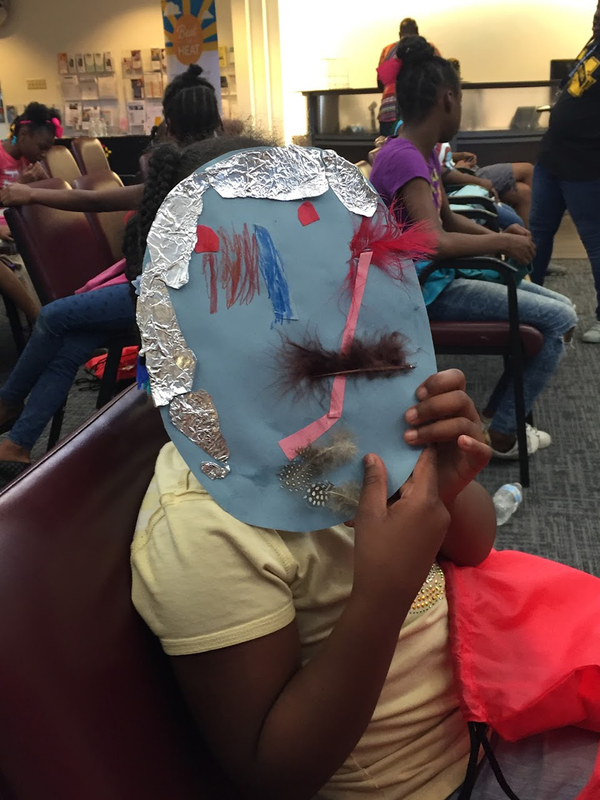 If you are looking for a way to connect and spend time with your family while learning join the Summer Learning Challenge which is filled with exciting books recommendations, DIY projects and other fun activities. 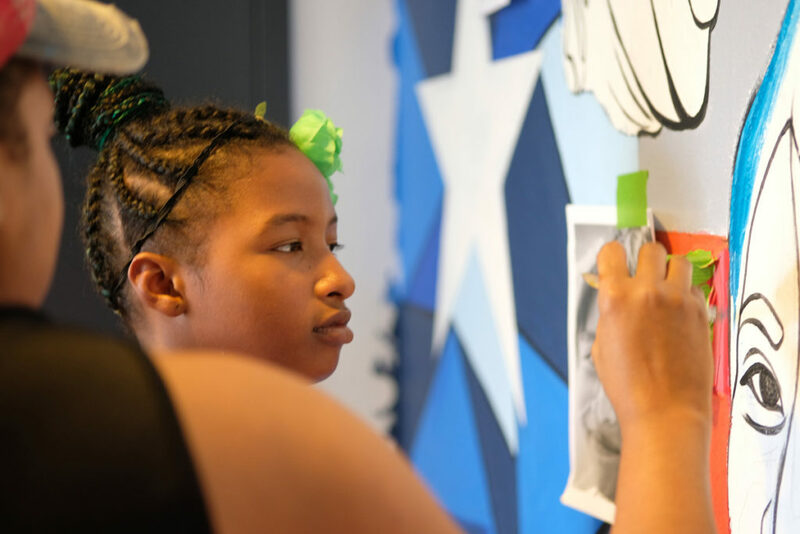 Participate in the KERA Summer Learning Challenge! Here is a list of books to check out from your local library and read with your little ones. Need even more ideas to make learning fun this summer? 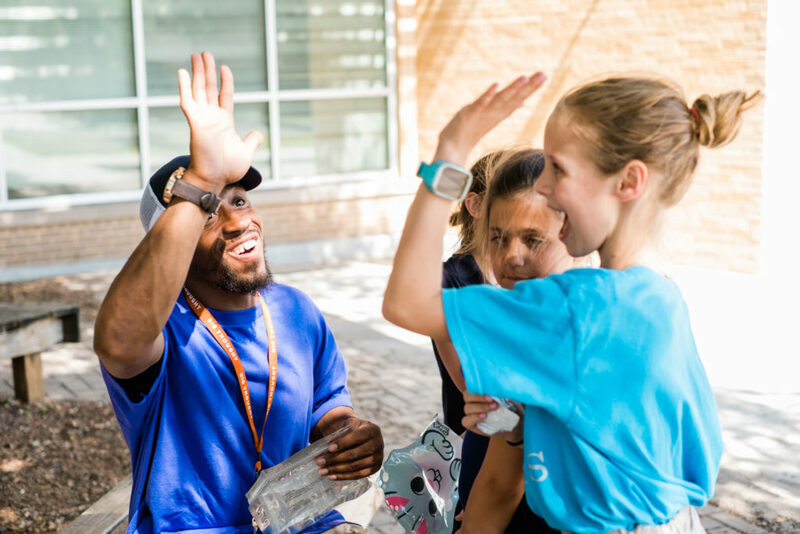 Head over to Dallas City of Learning to discover events, movie screening and upcoming summer camps! 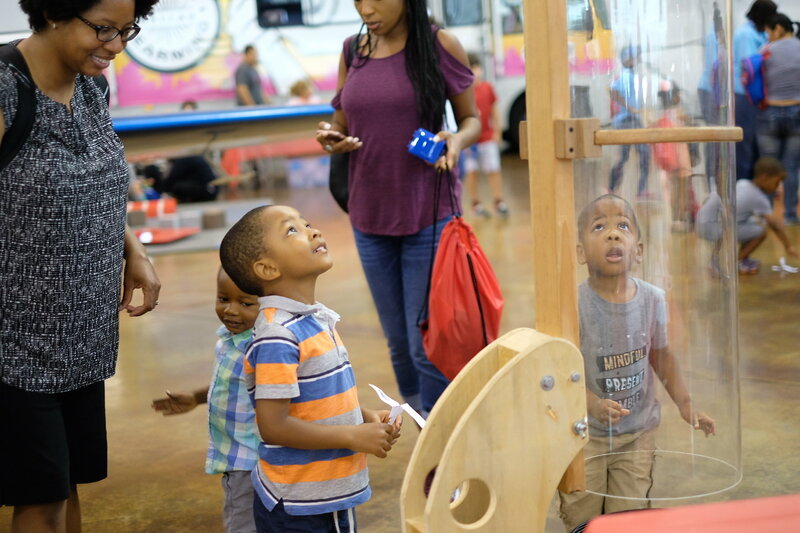 This past Saturday, the Frontiers of Flight Museum and Dallas Love Field Airport opened up their doors to children and families for Dallas City of Learning’s 5th Annual Turn Up! at Love Field. 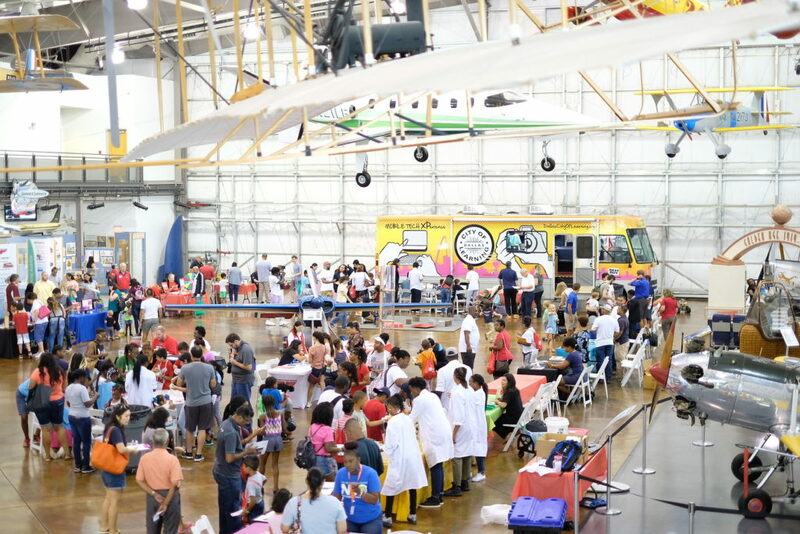 The event featured free admission to the museum, tours of the new terminal at the airport, opportunities to build foam gliders and experiment with wind tubes, food samples from airport concessionaires, and more. 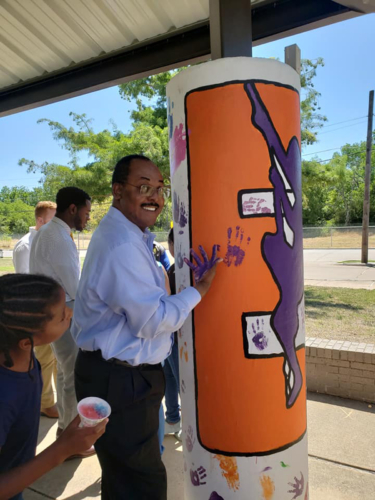 The Turn Up was hosted by Dallas City of Learning, a public-private citywide partnership between the City of Dallas and Dallas ISD, managed by Big Thought. 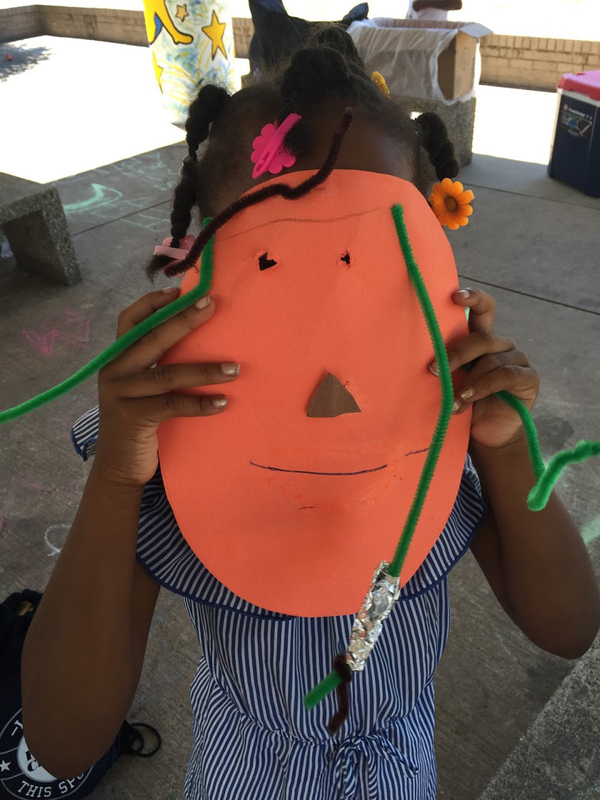 DCOL brings high-quality summer learning programs to students across the city to stem summer learning loss. 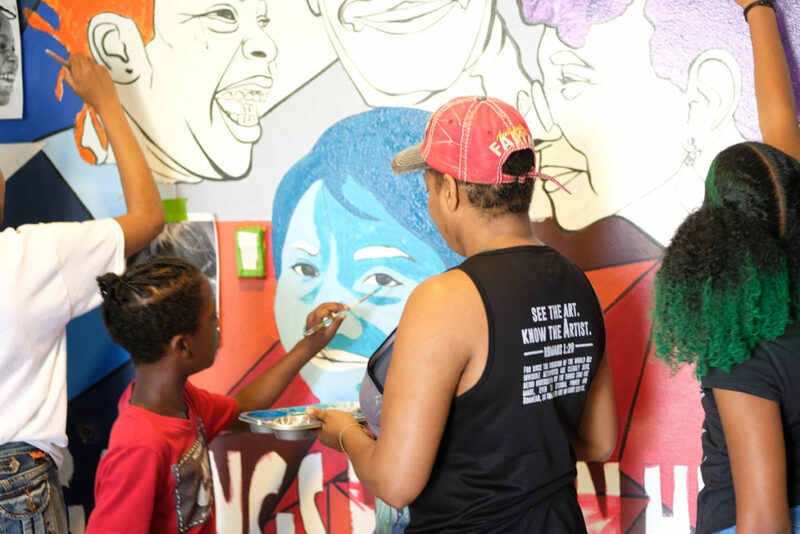 Last summer, Big Thought partnered with SMU’s Center on Research and Evaluation to evaluate the impact of the initiative. 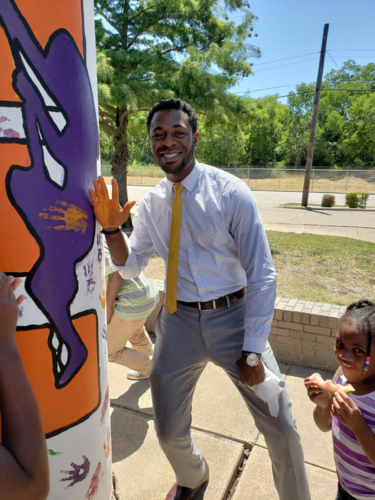 They found that over 23,000 Dallas ISD students participated in DCOL programs and consistently showed a higher GPA at the beginning of the new school year than they had the previous year. The Dallas City of Learning Turn Up! 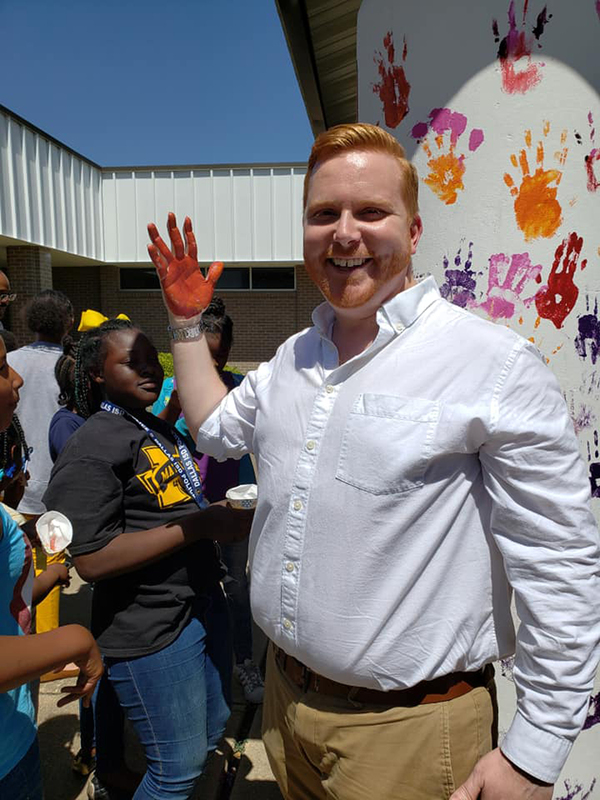 at Love Field promotes summer learning by engaging students in a new environment and exposing them to a wide variety of aviation career possibilities. 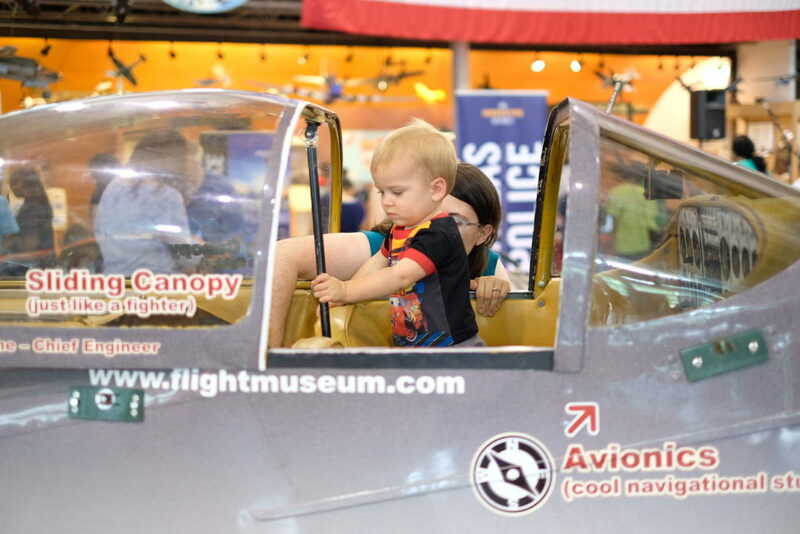 This year, kids had the chance to explore the cockpits of airplanes at the museum and make slime with Seeds to STEM. The terminal tour pointed out the spot on the tarmac where President LBJ became the first president to be sworn in on this side of the Mississippi, and Big Thought’s Mobile Tech XPerience was on-site to teach kids about robot design and computer programming. There was something for everyone! Closing the opportunity gap is a team effort. Every year, the Dallas City of Learning Turn Up! at Love Field brings community partners together to provide valuable resources and opportunities to the young people who need them most. Temperatures are rising into the triple digits. Days are getting longer. And students are holding their breath as the last minutes of the school year tick away. This can only mean one thing: summer is almost here. As students walk out of their classrooms for summer break, it’s important that learning doesn’t stop. How students spend these summer months has a large impact on their health, safety, and academic performance. 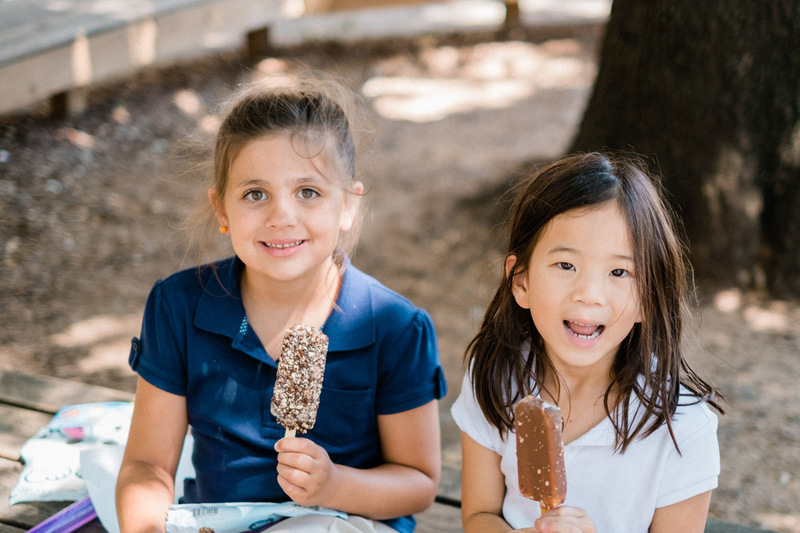 The inequity of opportunity during the summer can widen the achievement gap for low-income students, as they often face academic setbacks and a lack of access to healthy foods (Wallace Foundation). 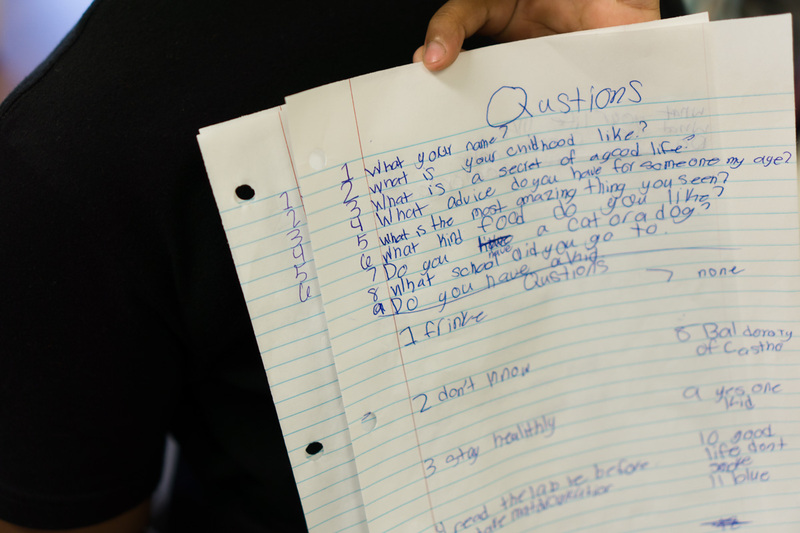 However, high-quality summer learning programs can push these students ahead. 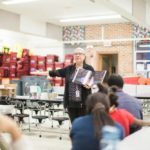 Research from the National Center on Afterschool and Summer Enrichment shows that “three to four consecutive summers of high-quality learning beginning in pre-kindergarten can get kids reading on grade level by third grade, making them four times more likely to graduate from high school” (Summer Learning). By keeping kids learning throughout the summer, we can ensure that they’re classroom-ready when they return to school in the fall. 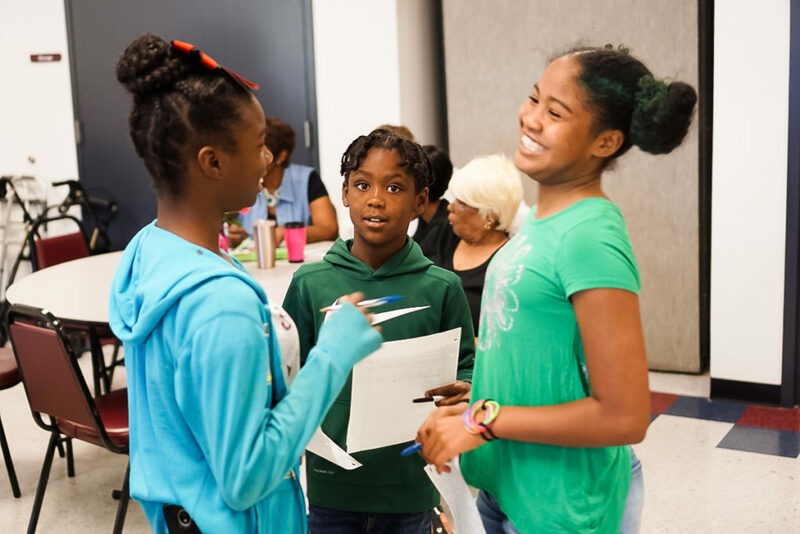 While summer learning programs positively contribute to academic performance, they also provide an opportunity for students to dive into subjects that spark their interest. Engaging them in new and innovative ways, these programs meet kids where they’re at, allowing them to explore their interests hands-on. 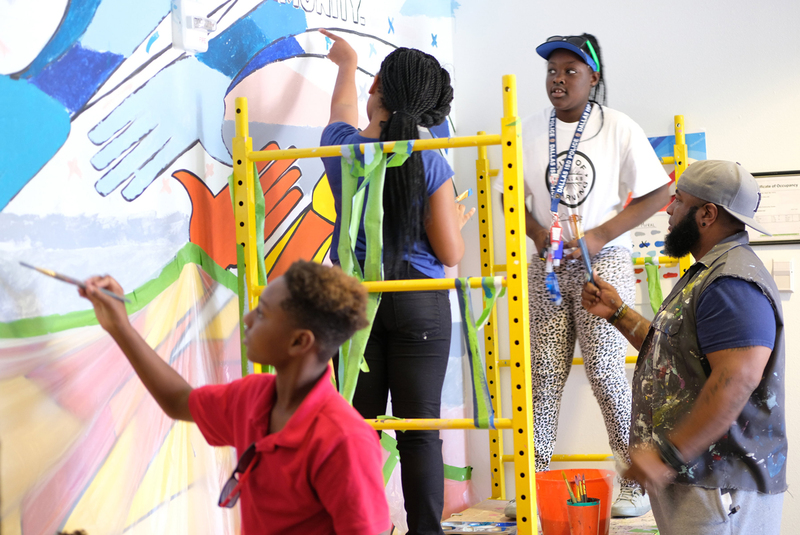 Summer camps and community events go beyond “drill-and-kill” instruction, so that the educational “experiences of summer… feel different for students” (Wallace Foundation). These programs do more than just prepare students for the next school year. They engage them in the lifelong process of learning. 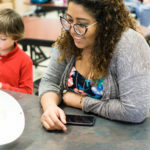 DallasCityofLearning.org is a comprehensive online directory of affordable and no-cost summer programs to help children and youth explore their interests during out-of-school time. 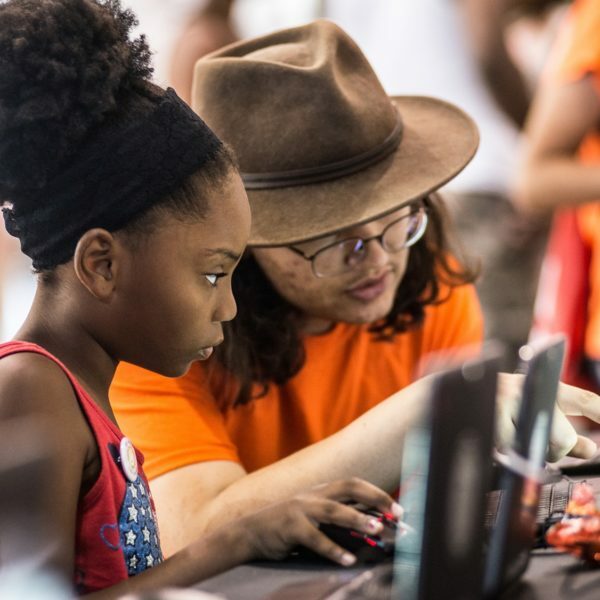 Create a free account and start exploring all of the fun and educational summer activities the city has to offer, including Coding, Robotics, Sports, Performing and Visual Arts, Science, and more.